Product prices and availability are accurate as of 2019-04-19 17:33:29 UTC and are subject to change. Any price and availability information displayed on http://www.amazon.co.uk/ at the time of purchase will apply to the purchase of this product. The gardens at Levens Hall, just south of Kendal close to the A6, are deservedly world-renowned. In particular they are famous for the elaborate topiary garden first laid out on the late seventeenth century. 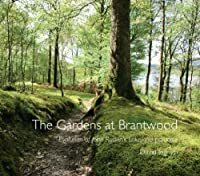 Whether you enjoy gardens or the Lake District or both I'm sure you're going to love this book. 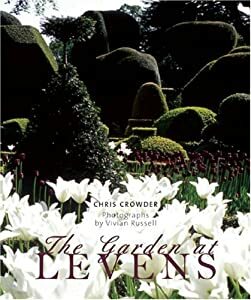 And of course, when holidaying in the Lake District don't miss visiting the house at Levens Hall as well as the gardens. The description of the gardens is by Chris Crowder, the Levens head gardener, and photographs are by Vivian Russell. Levens is one of the outstanding Gardens of the Lake District included in Tim Longville's book of that name). If you're planning to visit several gardens during a stay in the area then consulting Tim Longville's pages will help enormously. If you're looking for a complete contrast of style you might also travel across to Coniston and see John Ruskin's gardens at Brantwood. There are many possibilities for the garden-lover during a week in the Lakes.